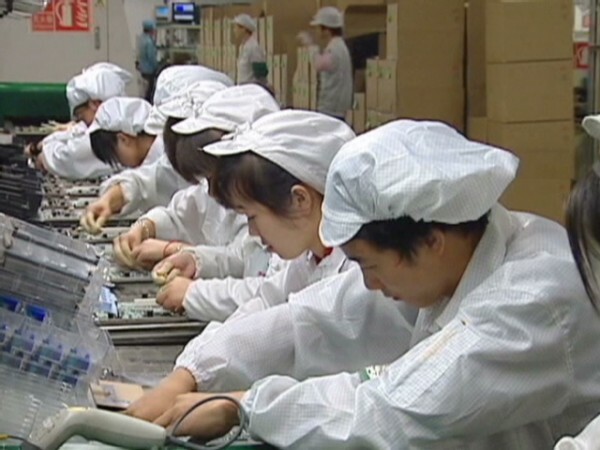 New York–based China Labor Watch, the organization that scans Apple’s supply chain regularly, and recently accused Pegatron of serious labour violations, has now turned its attention to another company, which is part of the iPhone 5C production line. Their latest report (via The Next Web) claims that the Jabil Green Point factory in Wuxi, which is owned by the Florida-based Jabil Circuit Inc. and manufactures the rear plastic covers of Apple’s so-called cheap iPhone, violates Chinese law and Apple’s code of conduct. After performing an undercover investigation, CLW found that workers at Jabil stand for 11 and half hours of work per day, and accumulate more than 100 overtime hours per month, three times that permissible by Chinese law. What’s more disturbing is that the report says Jabil forces workers to accept overtime and requires newly hired workers to accept an agreement that says their overtime will be considered voluntary. As CLW points out, Apple claims that 99% of the manufacturers in its supply chain comply with its standard of no more than 60 hours per week (this is still beyond the Chinese legal limit of 49 hours, though). The issue is that Jabil workers work more than 60 hours per week and accumulate 100 overtime hours per month, and this does not include an additional 11 hours of unpaid overtime. CLW’s newest report is not only evidence that Apple and its suppliers continue to infringe upon the labor rights and human rights of the workers making Apple products, it also evidence that such supplier factories are not restricted to Asian-owned factories. Jabil Circuit is headquartered in St. Petersburg, Florida. Apple is under pressure to take more responsibility for its supply chain and the workers. The pressure has been even higher since an in-depth investigation revealed major issues, relating to safety, working hours and conditions, and underage labour. Since then, Apple has made great efforts to bring transparency into its supply chain and has even partnered up with the Fair Labor Association (FLA) to conduct audits of the company’s suppliers.